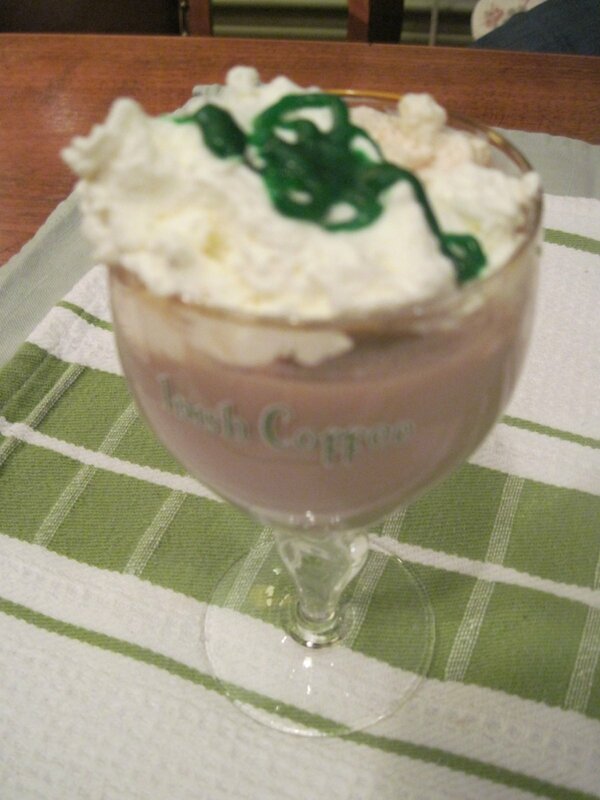 St. Patrick’s Day Irish Coffee: The best Irish Coffee that I have ever had was when 19 of us went to Ireland, hubs family and I. We try to go to a different country ever other year and that year we went to Ireland. It was one of the best trips, not only because I had never been to Ireland before but because they are of Irish decent, plus, Ireland is majestically breath taking. We just love being together, between laughing and story telling and lots of singing, there is lots of drinking! One gorgeous day, as we were driving the cliffs of Ireland, around the bend, my son in law and I noticed a beautiful spot to stop for a coffee. This is what we ordered. It was a clear, crisp day overlooking the bright green cliffs, rams and sheep scattering about. As we were brought our Irish Coffee’s, the waiter said a Good Morning with a twinkle in his eye. The first sip brought me to the Irish roots that I wish I had. 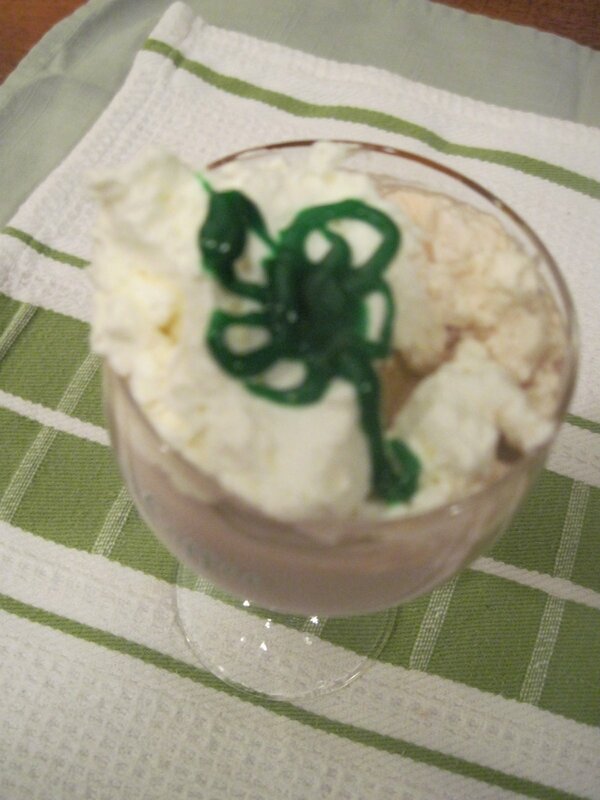 It was so delicious with a combo of strong coffee, a bit of whiskey and fresh whipped thick cream. I savored each sip, admiring the Rhododendrons and wild Rosemary growing about. 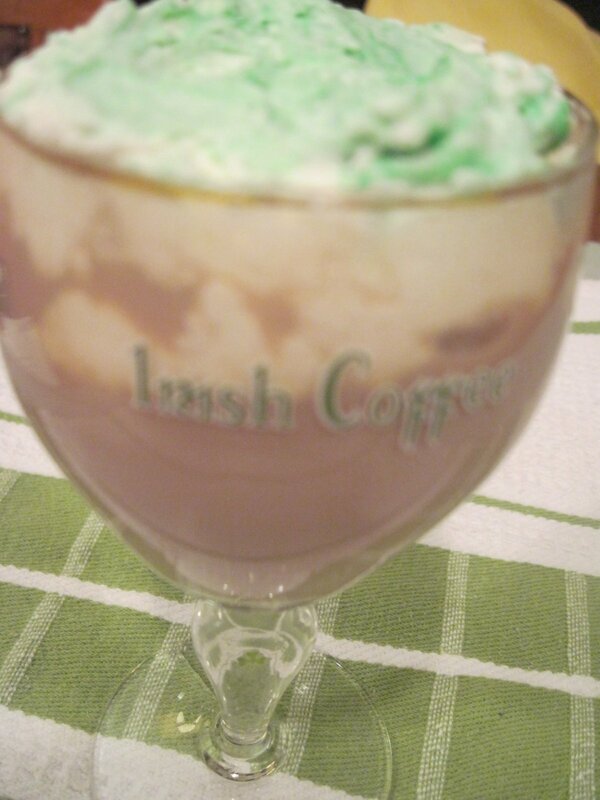 I sat thinking, don’t lose this memory, 7 years later this memory strikes me whenever making an Irish Coffee. Because it is so simply delicious, a toast to you! Happy St. Patrick’s Day! A shamrock for Good Luck! Combine whiskey, sugar and coffee in a mug and stir to dissolve. Pour coffee into your favorite serving glass, float cold cream gently on top. Do not mix. Enjoy! Carrie, I would love that! 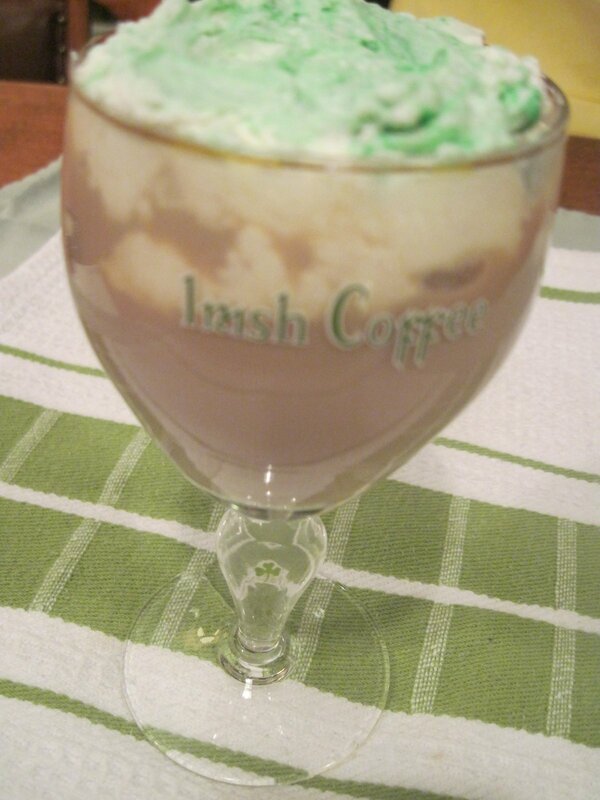 Come up to Maine anytime and I'll have an Irish Coffee ready for you sweetie! What a great vacation and a lovely memory! I can almost taste the coffee now. Yum! Thanks for sharing! 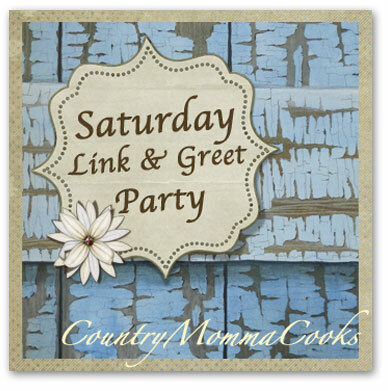 Nettie, I just love the stories that go along with your recipes! 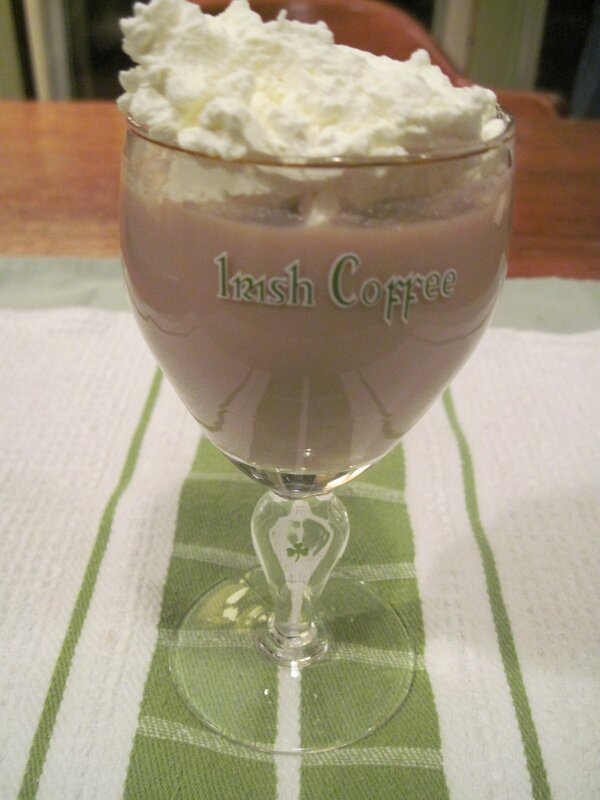 This Irish Coffee sounds wonderful, and your description of having it for the first time in Ireland with your son-in-law – what a great memory! Hope you are well, my friend, and thanks for sharing this deliciously naughty coffee! One of my all time favorite drinks. I am making one tonight with a wee bit of Jameson’s. 😉 Cheers <3!